You would be forgiven if in recent months you felt that we were back in 1980 when Dolly Parton released her song ‘9 to 5’ in which she referred to the “rich man’s game…putting money in his wallet”. While she wasn’t singing specifically about the gender pay gap, reports in recent months certainly highlight the disparity of pay in organisations – and especially across male and female employees. It seems illogical that despite making similar contributions in the workplace and to the economy more broadly, women are still paid less than men. According to the Office for National Statistics (ONS), as at November 2015, women in the UK are paid on average about 9.6% less than men which equates to about £100 less a week. While the gap has narrowed since records began in 1997, the gap for part-time works (41% of women fall in this category) continues to widen and currently stands at 6.5%. This is by no means just a UK issue; according to the World Economic Forum’s (WEF) annual Global Gender Gap Report 2015, of the 145 countries assessed, the UK comes in 18th place and Ireland is ranked 5th despite an estimated gap at 14.4%. A report by the Economic Policy Institute shows that the US also has some way to go in closing the gap; women in the US earn 89.2 cents to every dollar earned by men (black women earn 65.1 cents to the dollar and Hispanic women earn 58.9 cents to the dollar). The case for equal pay was made decades ago, so why are we still debating this almost 50 years after the Equal Pay Act came into force in the UK in 1970? The majority of us would readily agree that it is unfair to disadvantage over half of society in this way, yet WEF estimates that it could take up to 118 years to close the gender gap globally. Before looking at how to accelerate the pace at which we can close the pay gap, we should acknowledge that progress has been made. The aforementioned WEF report shows that some countries have made more progress than others since 2006; Iceland has taken the top spot in the rankings since 2009, with its score increasing by 0.1 since 2006 compared to 0.07 in Ireland, 0.04 in the US, and only 0.02 in the UK. The UK government has acknowledged the importance of addressing this inequality and issued “Closing the Gender Pay Gap” report earlier this month. The outcome of the report, which was developed in consultation with a number of employers, will lead to mandatory reporting on the gender pay gap by organisations with 250 employees or more. The regulation will come into force in October 2016 after which organisations in the UK will have 18 months to report on both mean and median pay, mean bonus payments and the number of male and female employees in each salary quartile. The regulation will improve transparency but will it really deliver the UK Prime Minister’s plans to “end the gender pay gap in a generation”? If the WEF forecast of 118 years is even remotely accurate, then perhaps not. A number of critics argue that the regulation will not go far enough; full salary transparency, some say, would better highlight the pay discrepancies across all levels of seniority in organisations, the impact of part time and other flexible models, and accelerate the pace at which the gender pay gap closes. A recent report showed that while the pay gap was small (2.2%) at junior levels, it widened by up at the executive level (6%). Mean and median pay by gender will not highlight this progression factor. The same report also highlighted the financial penalties experienced by both women and men who prioritised family commitments over business activities. While the salaries of individuals in this group often lagged those of their peers with fewer family commitments (e.g. no children and/or willing to prioritise work), female employees were left financially worse off. 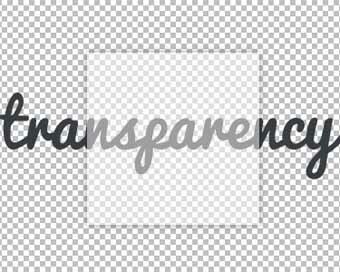 Transparency is just one element – cultural change in organisations and society is critical. It’s not just a feminist agenda – salary transparency could be beneficial to both men and women. According to a survey of over 70,000 employees in the US, of those who were paid above market rate, 35% believed they were underpaid, 45% believed they were compensated at market value, and 21% felt they were paid above market average. This misalignment between reality and belief has serious consequences for business leaders grappling with engagement in their organisations; if male and female employees feel underpaid (even if inaccurate), they are more likely to look for other opportunities. This idea of recognition and value goes beyond the monthly pay cheque. The same survey found that even if employees were underpaid compared to market average, they were 82% more likely to say they were “satisfied” if they understood why their compensation package was lower than average, compared to those who were left in the dark. The commitment to equal pay should be at the core of an organisation’s belief system; just spend a moment to think about the message the gender pay gap sends to junior women who aspire to be leaders in organisations. You can work just as hard as your male peers, but as you progress through the ranks, you will be compensated less than them. In other words, female employees are less valuable than male employees. It’s not just the next generation of female talent who are disadvantaged as a result of the gender pay gap; in retirement, women are left worse off because their final pay package is smaller and they have a longer post-retirement phase. A recent report in The Guardian cited a Scottish Widows report which revealed that women save 38% less than men, and 21% have no pension savings compared to 9% according to another study. Standard Life found more Irish men than women own pensions –with 55% of men compared with 46% of women. Some have advocated a seemingly simple solution; because the widening pay gap that comes with career progression is the result, to some degree, of individuals’ ability to negotiate, why not encourage women to negotiate more? Linda Babcock and Sara Laschever, authors of “Women don’t ask”, found that in their study women negotiated four times less often than men, and when they did negotiate, they asked for 30% less than their male colleagues. However, this idea of encouraging women to proactively demand what is rightly theirs is seen by some to be the wrong approach. Some suggest banning salary negotiations all together as Ellen Pao has done since becoming CEO at Reddit. The most effective approach to completely closing the gender pay gap is still hotly debated, however most are united on the goal – to ensure a level playing field and fair recognition regardless of gender. What research and studies are telling us is that while previously pay parity may have felt like a far-fetched dream, it is now seen as a realistic goal. However, the need for hashtags such as the Fawcett Society’s #EqualPayDay, which marks the day of the year after which women are in essence working for free until the end of the year, tells us that we have much more to do if we are to make this goal a reality for the millennial generation and others to follow.